We love decorating for the holidays and making everything beautiful. With multiple Christmas trees and lots of lights, it's easy to see how much holiday cheer is around our house. As kids we would love for the tree to go up. After Christmas whenever mom would try to take it down we would cry and beg her to leave it up. Some years she would have to catch us all gone so that she could take it down. So this craft was perfect for us. It is an easy DIY Christmas ornament. What's even better is that there are only a few supplies needed and it can be made in less than ten minutes. This would also be an easy craft to do with kids. 1. Gather your supplies. 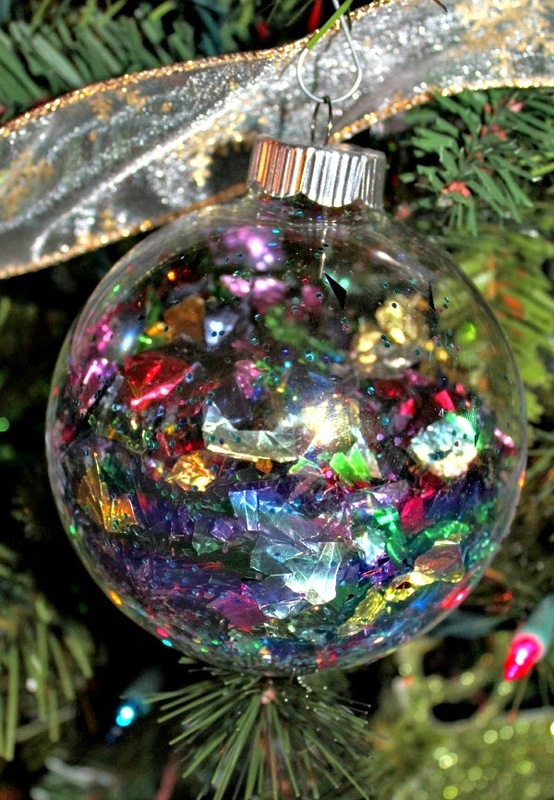 The amount you need will vary based on the size of the ornaments you are making and on the amount of them you want. 2. 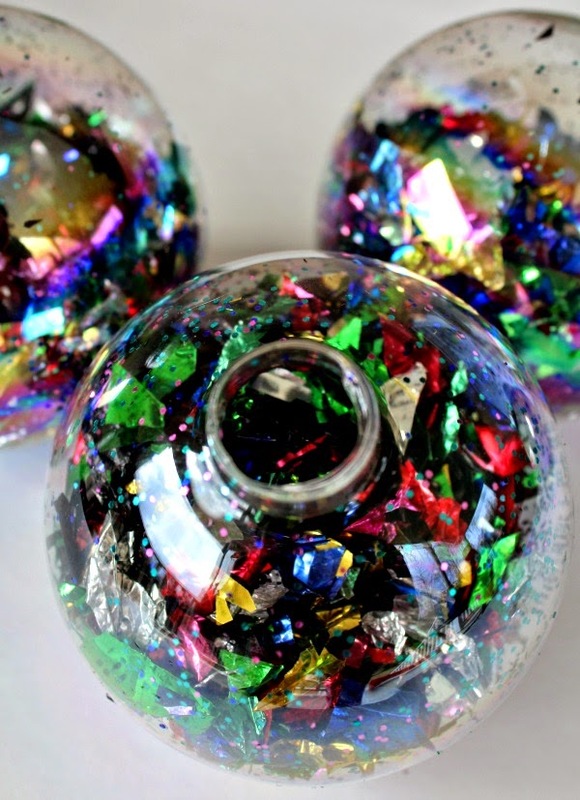 Pull the tops of the ornaments and pour some of each color of glitter into them. Then pour confetti into them. You want to fill them 2/3 of the way full. 3. 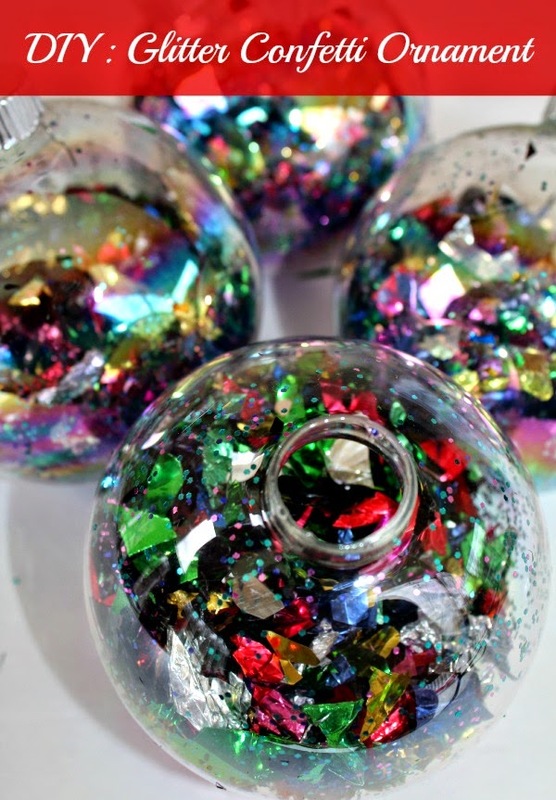 Put the tops back on the ornaments and the shake them up to mix up the glitter and confetti. Then hang them on the tree and enjoy. These would make fun gifts to had out. I have a glass ornament with green grass in it. How pretty! This looks like such a fun project. How can you say no to confetti and glitter? Fun! These ornaments are so pretty!! Just love them! Hope you guys have a great holiday!